opened a second studio IN MALLORCA in 2017. 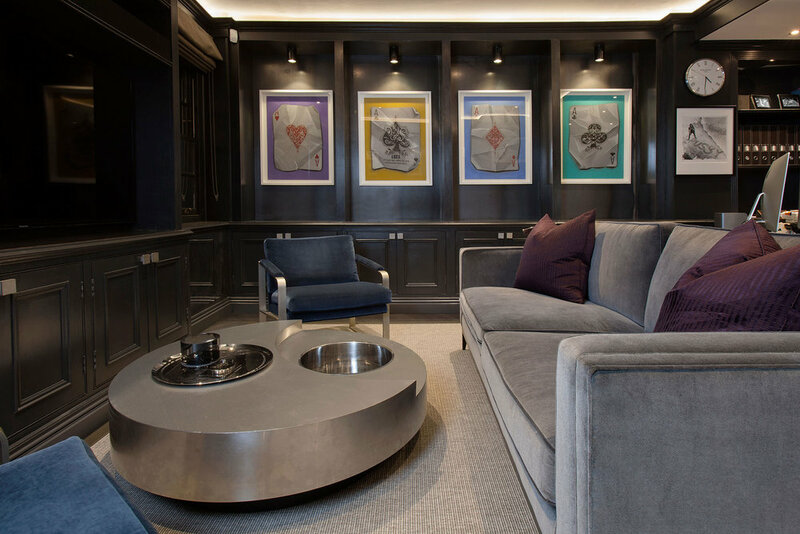 Known for the sensitive restoration of Grade II Listed interiors in central London, Samantha Knight has designed townhouses, apartments and country estates in Belgravia, Knightsbridge, Richmond and Hampton Court. Worldwide projects include a Kenyan safari lodge and a family home in Africa. Setting up a second studio in Mallorca was a carefully considered move by Samantha to connect London with The Balearic Islands, simplifying often complex projects for her private clients. Samantha thrives on combining the craftsmanship and natural materials available in both locations, working with the finest artisans. Follow us on Instagram to see progress shots of our current projects. Samantha delivers her schemes with a team of architectural designers, project coordinators and financial administrators. Samantha also keeps a handpicked contact book of architects, project managers and private contractors in the UK and overseas. The former historic home of British author Virginia Wolf, this 10,000 sq ft Grade II* listed Georgian building was sensitively refurbished from a commercial office building back to its former architectural glory. Samantha designed and managed the sensitive restoration of a Grade II Listed country estate backing onto Bushy Park, famously the hunting ground of King Henry XIII. A building formally belonging to Hampton Court Palace and privately extended through the decades, the 8,000 sq ft Georgian home was modernised for a young family. Following an update to an apartment space in Mayfair, Samantha was asked to refresh the interiors at a villa in Calvia, Mallorca. 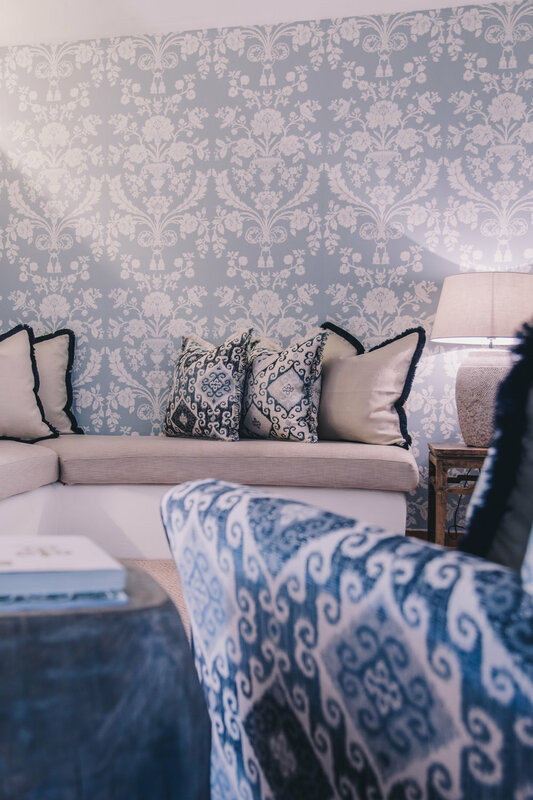 This was a commission that Samantha relished, as she was given the opportunity to bring her favourite wallpapers, paints, fabrics and furniture design from the UK. The resulting look was the first project that coined the phrase 'London heritage meets balearic elegance', a motto she now designs by. This this Grade II Listed Georgian townhouse was sensitively refurbished and extended to cater to the needs of a busy family. Serving as a weekend retreat, precedence was placed on light, comfort and wellbeing. Once the home to a former Prime Minister of Great Britain, Chester Square became the new address for a private client seeking grandeur and impressive architectural detail. Samantha was briefed to provide both a flexible living space for a growing family as well as a chic, discreet home office within which clients could be received.